"I'll Sing You One-Oh!" traces the carefully researched history of a small day school born out of necessity, then nurtured by a dream to become the Mullins family's boarding school. 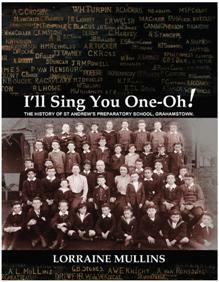 Later entrusted into the care of its old boys, it expanded, matured and ultimately returned to its founder, St Andrew's College.